Pacific City, Oregon (January 29, 2018)— With a flair for exploring all the delicious ways to tap the full spectrum of hop flavors and aroma, Pelican Brewing Company this week adds what brewers are calling the ‘ultimate IPA’ to its year-round lineup. Leaning on its pioneering dry-hopping invention to extract even more character from its ingredients, Pelican has crafted Beak Bender, a contemporary hop-forward yet astonishingly drinkable IPA. A super clean bitterness and punchy, juicy hop flavor are the hallmarks of this unique beer. Bountiful quantities of Citra and El Dorado hops offer aromas and flavors reminiscent of luminous citrus and zesty orange balanced against a lean malt bill for a well-attenuated delicious new brew. 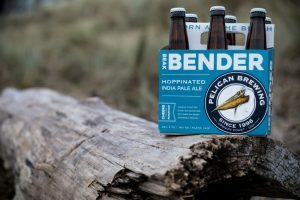 Beak Bender rounds out Pelican’s scope of IPAs with a delicious new twist on a classic—and all at an astoundingly drinkable 6.7% ABV. 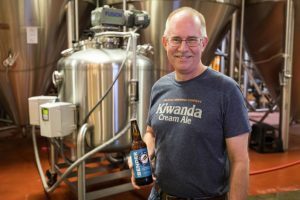 Since it was born at the beach 21 years ago, Pelican has enjoyed a reputation for leading American IPA development, creating and releasing numerous multi-award-winning IPAs including India Pelican Ale, Imperial Pelican Ale, Umbrella IPA, Silverspot IPA , Beak Breaker and now Beak Bender. What makes Beak Bender so special? Consistent with an independent spirit and award-winning creativity rooted at Oregon’s rugged coast, Pelican last year set out to invent an alternative method to dry hop beer. Driven by a desire to create a more efficient and safer method to dry hop, brewmaster Welch masterminded a better vessel—’The Hoppinator,’ a more productive and sanitary system for dry-hopping beer. Welch rethought the process of how to introduce hops to the fermenter and designed a new vessel to accomplish this task. The biggest difference for the beer drinker is enhanced taste and aroma. 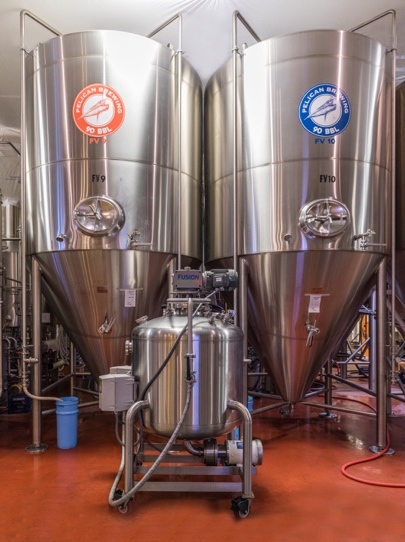 The new process introduces much less oxygen—the hop pellets go directly into the clean vessel, then the brewer seals the vessel and purges with CO2. As a result, there is extremely low oxygen pickup compared to the traditional dry-hopping process which increases flavor stability and quality. According to Welch, because the hops are incorporated into the liquid with an agitator and emulsified in the beer, then shot back into the main fermenter, the brewers are able to extract much more flavor and aroma from the hops than the traditional method of dry hopping. The benefit is that Pelican can now extract even more character from each pound of hops. Beak Bender, which will be available year-round, debuts early February in 6-packs, 22 oz. bottles and on draft in select locations. Like all Pelican beers, Beak Bender is born at the beach by a team of award-winning craft beer makers known for brewing styles of beer that they themselves love to drink. Cheers! For a comprehensive review of all award-winning Pelican beer offerings click here.